The Trans-Amazonian highway is a 5,000 kilometre road which cuts across the heart of the Amazon forest, spanning Brazil from the coastal city of João Pessoa in the northeast to the border with Peru. It was one of the most ambitious resettlement and economic development programs ever devised, and one of the greatest failures. 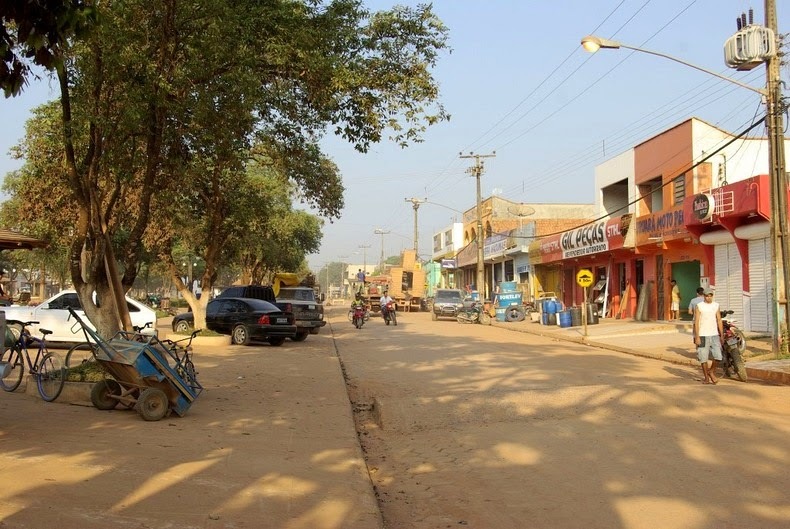 The project developed in the 1970s after General Medici, military ruler of Brazil, visited the impoverished north-east of the country, which at that time was suffering under one of its periodic droughts. What he saw shocked and upset the General deeply. Land reform, the obvious solution to the peasants’ plight, was out of the question because the military who ruled the country relied too much on the support of landowners, and there was no way to convince those wealthy landowners to part with even the smallest fraction of their lands to the rural poor. General Medici, instead, decided to relocate the poor. It was decided that a road through the rainforest would open up the wilderness to settlement by peasants from the crowded, drought-plagued north and provide employment and markets for the poor. Promoters were confident that by the early 1980s, the region would be bustling with the settlement of ten million people. According to official plans, settlers would be given 250 acre plots of land, six months’ salary, and easy access to agricultural loans, in exchange for settling along the highway and converting the surrounding rainforest into agricultural land. These families, it was predicted, would be supplying the domestic market with millions of tonnes of beans, rice and maize, as well as earning millions of dollars through the export of coffee, cocoa, pepper, oranges and other crops. The project was rushed through with little concern of preservation of the Amazon Rainforest’s fragile ecology. As it turned out, the soil of the Amazon basin consists mostly of sediments, which make the roadbed unstable and subject to inundation during heavy rains. With the road unusable for six months every year, settlers were cut off leaving the products of their labors to rot. Besides, harvest yield were dismal since the fertile layer of Amazonian soil is thin, and its nutrients get depleted quickly, and new forest had to be cleared annually leading to rampant erosion. In addition to the economic and social failures, were the long-term environmental costs. After the construction of the Trans-Amazonian Highway, Brazilian deforestation soared to levels never before seen. Over the years, virgin forests gave way to cattle ranches, logging stations and gold mines. 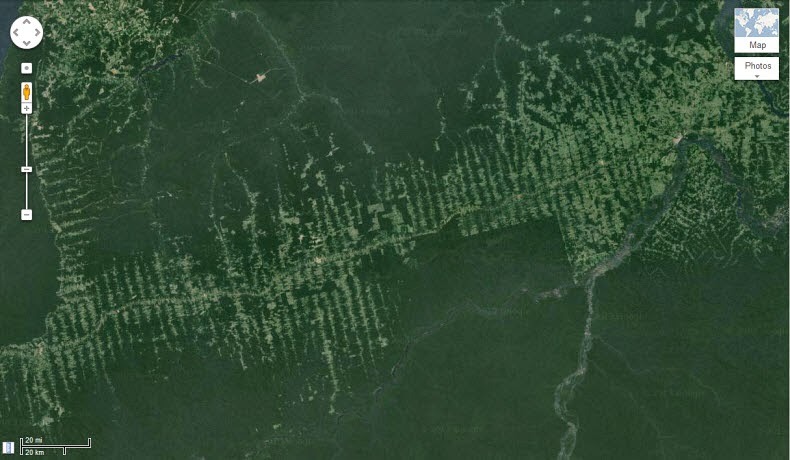 Deforestation of the Amazon, triggered by the Highway, has continued to this date. During extreme spells in the 1990s and early 2000s, more than 25,000 square kilometres of forest were claimed a year. The project struggled on until June 1974, when it was finally abandoned. By then, about 20,000 families had come into the region, but with the government withdrawing their support, these settlers found themselves in abject misery. Except for a few isolated stretches, the road has very little traffic today. 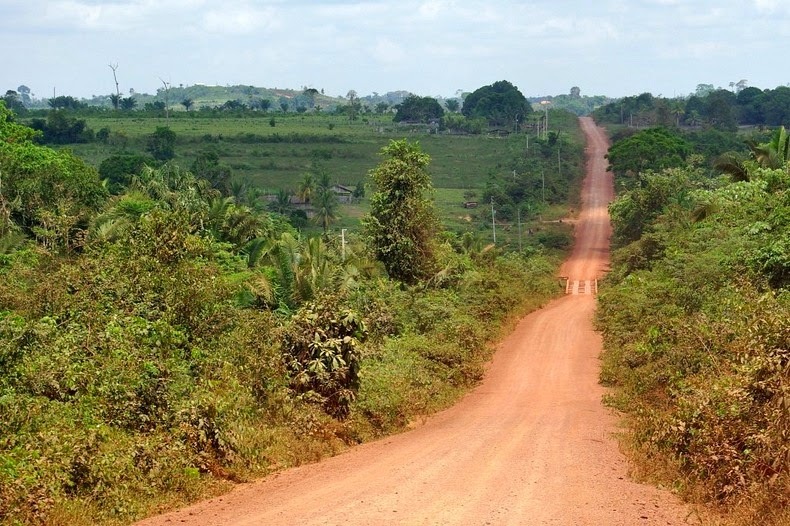 Parts of it are paved but the majority is earth topped with a thin layer of fine gravel that is unable to withstand the torrential rains that beat down on Amazonia from November to April. During this period, the unpaved sections of the road is impassable. 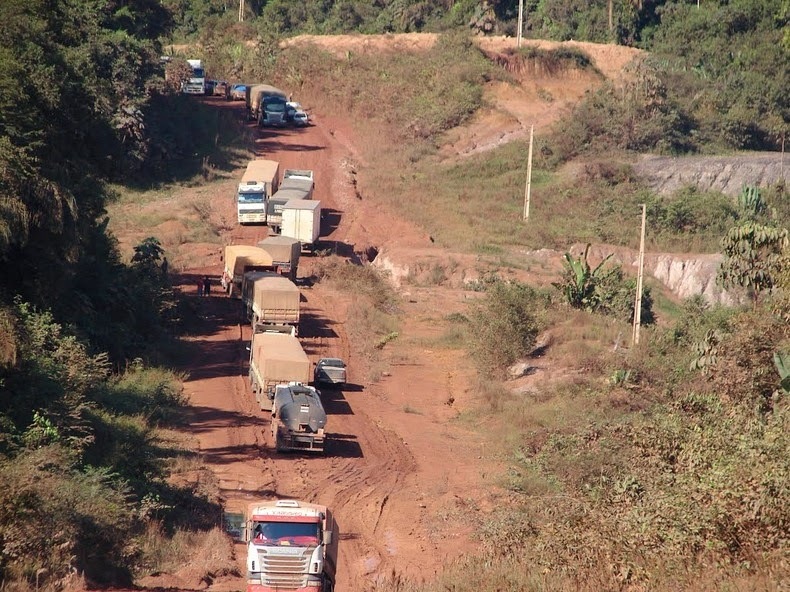 Lately, the Brazilian government had a renewed interest in paving the highway. Today construction vehicles can be seen traversing the road east and west bringing dirt and gravel to prepare for paving operations. 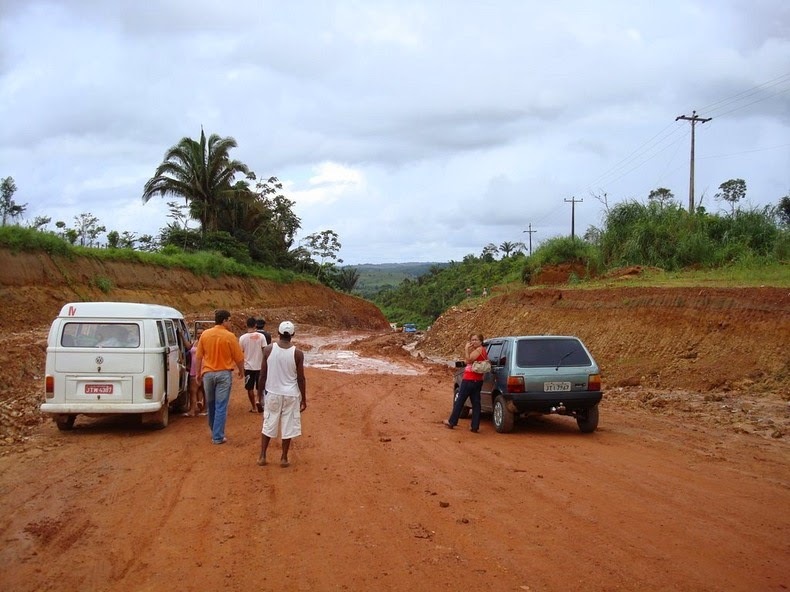 It’s hard to say how long it would take to pave the entire Trans-Amazonian highway and at what cost.